Thank you for requesting your free guide. Your guide will be emailed to you shortly. "The Xenca Guide to Becoming Your Own Boss"
Xenca is a revolutionary British business concept that truly has your best interests at heart. Here's the best part - We're looking for ambitious people like you who live in the UK to join our rapidly growing team. One of the many reasons our Associates are so happy to work with Xenca is because we treat them fairly and we want to invest our time and effort into helping you develop a successful business too. Xenca is run by its members for its members, so it has the long-term success of all its Associates at the heart of everything it does. Our aim is to build a sustainable and profitable long-term business with you, not make quick returns from charging extravagant fees or stipulating minimum order requirements. As an Associate at Xenca you will never have to meet any sales targets and never be forced into buying in more than you want to. As an Associate you will have FREE access to advice from your peers and from experts at the company, all of whom have first-hand experience in doing exactly the same thing as you. Xenca makes managing your business easier by providing you with a UK based Head Office and as well as giving you great products, we also equip you with literature and much more, to help you build your own business. We give you your own website at no charge, with a twenty-four hour, three hundred and sixty-five days a year ordering system. This site has full mobile capability. We also support you through our social media sites. We will provide you with FREE training, advice and the support that you need in order for you to do all of your own marketing. There is no stockholding requirement and no minimum order quantities - all customer orders are fulfilled by our head office in Lancashire and a customer can order as few or as many products as they wish. There is free professional training to support your business activities coupled with a fully integrated online training system, giving you all the support you need to help you grow. We also provide all our Associates with a step-by-step "Roadmap" to guide them through the process of setting up the business and help them through the fledgling stages. You only pay £50(Including VAT) for a welcome pack which includes products to the value of around £80, all the information you need to get started and your own online shop. By joining the Xenca family you will be joining a community of people who all want to help you succeed. We are a community who all support and encourage each other to be the best we can. This means that as you develop your business you will always have access to plenty of the right advice to help you succeed - you’re not on your own. At Xenca our mission is simple: to provide our customers with outstanding, life-enhancing products and to provide our Associates with the best opportunity they will ever come across to create a successful business. 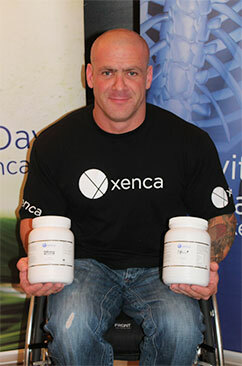 As a wheelchair bodybuilder my arms and joints get used constantly, they ache with mild pain so the use of Xenca Revitalise Collagen has helped massively with a heaped teaspoon twice a day. I also eat a large amount of meat in my diet but I'm not great at eating vegetables so the Xenca Five a Day+ has been a brilliant supplement in my diet. I am more than happy to endorse Xenca Revitalise Collagen as I have been using it on and off for 9 months. I have found it extremely beneficial in reducing stiffness and arthritis in my joints and, as a spin-off, I feel it has also had a beneficial effect on my skin and hair. The inital outlay to get started is only £50! The way we structure our business means that this is genuinely your business. We also have a range of great products that people order again and again. You have the freedom to combine your family, work and social commitments whilst running and building your own business. Xenca is an uncomplicated opportunity built on honesty and integrity. At Xenca we really care about those who choose to become Associates with us. That’s why if you decide to come on board, you will be joining a supportive and enthusiastic community of like-minded people who really have your best interest at heart. There are seven levels of management to aim for, all of which increase the income you will recieve. At Xenca we aim to create a real community feel. We know that we are only as good as our people and, consequently, our approach is focused on helping our Associates and ensuring that our customers, Associates and Xenca get a ‘win, win’ outcome. Too often organisations in our industry create complex compensation structures that seem as though they have been designed to be deliberately confusing. We haven’t done that. We have kept it as simple as possible. It goes without saying that a major factor in your success will be the quality of products we can offer you to market in your business. Our products are truly world class and so your repeat orders will be likewise. We want you to love working with us, so we decided very early on that we’d make sure that you would always be in control of the relationship we have. We see you as a partner in the company and we are committed to helping you to grow your business to whatever level you wish. Of course we’ll supply you (at minimal cost) with the necessary brochures and promotional materials you’ll need to support your activities, and we also support you online through social media and the Xenca websites. Over and above the actual marketing of products, we know how difficult it can be in business to keep on top of all of the paperwork and manage your business affairs so we give you the tools to do this effectively. As well as giving you the best marketing tools, we’re also committed to providing the best possible support too. We will provide you with FREE training, advice and the backup that you need in order for you to build your business. What do people say about Xenca? Our business is designed and operated by experienced industry professionals who are directly involved in growing the business and selling the products. All the Directors are active Associates. This makes us very different from other companies in our industry. We understand exactly what customers want, what Associates need, what the challenges can be, what works best and what is a waste of time! Our business is founded on the philosophy of people helping people to make lives better: helping them improve the quality of their lives. This begins with supporting people in their personal development and wellbeing as well as helping them to expand their financial possibilities. As an Associate you get to be your own boss, set your own hours, choose your own level of success and work your business around your own priorities. Xenca is a British company with natural, effective and affordable products, designed to deliver optimum family health and fitness, radiant skin and natural beauty. We're confident you'll love our stunning range of health and beauty products and, more importantly, your customers will too. We will never tell you what you have to buy from us, or how much, or dictate precisely how you sell the products. You can decide to focus on one or more of our products or ranges, or all of them. It really depends on what you’re most comfortable doing. The only boundaries are legislation itself and an agreement that none of us will harm each other’s margins by retailing through discount internet marketing sites. Otherwise, there are no restrictions regarding third-party marketing so you can decide to sell direct or in partnership with your local retailers or professionals (such as chiropractors, veterinary practices, gyms, etc.) 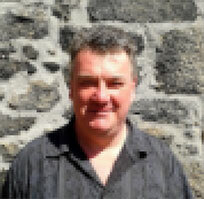 We’ll also give you help and advice on how to win new business. All of our Associates here at Xenca love the products they sell and understand the positive impact they make because they also use them themselves! Come and join us as an Associate at Xenca. You will be your own boss but you won’t be on your own. Go for it - you have everything to gain and nothing to lose. What do people say about Xenca's products? Why Not Take Control of Your Own Success? Why should you join the exciting and unique Xenca business opportunity? Xenca is very different from other companies in the industry because the Associates own the company. Xenca is run entirely by its members for its members with one objective: to provide the very best opportunity for creating a successful business. Operating like a co-operative, our focus is clearly on the future, embracing technology and appealing to people of all ages whilst putting our Associates first at all times. FREE initial and ongoing training. We will provide you with a wide range of face-to-face, webinar and individual training on product sales and business development. You will be given, free of charge, your own online shop and online back office where you can manage your business. Through this you will be able to access your own personalised promotional merchandise and support materials, access your FREE training website and have access to our certified Nutritional Advisor Course. With no targets or minimum orders to meet, the business is flexible and easy to fit around family and other commitments. It is the ideal way of working from home. 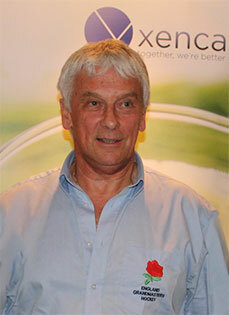 "Xenca is the single best business opportunity we have ever seen, no contest. It allows anybody whether they are working or not." Fill in your details here to receive your FREE guide "The Xenca Guide to Becoming Your Own Boss"
Below are a few of the more common Frequently Asked Questions about Xenca. But if you need more information please ask the person who sent you to this site to help you or use the links to the Xenca websites and social media sites in “ The Xenca Guide to Becoming Your Own Boss” to find out more. How much do I have to sell per month? As an Associate with Xenca you will never have to meet any sales targets and never be forced into buying more than you want to. We are here to support your business by providing you with the products and promotional materials that you need, as well as the backing of a strong network of your peers and as much training and mentoring as you require. Your investment is £50.00 (incl. VAT) which includes products to the value of around £80, all the information you need to get started and your own website. I haven't done anything like this before. Is there any training? We will provide you with FREE extensive training and product knowledge. There is a variety of support, training, and coaching free of charge to help you get whatever you want out of your Xenca business. Your support team will make sure that you have everything you need to get you started. Will I need to purchase lots of products to hold stock? No - we will never encourage you to hold more stock than you can comfortably sell to your customers on a monthly basis. If you prefer not to hold any stock at all, the personalised website you receive as soon as you register as an Associate allows you to take orders automatically and have them dispatched by our warehouse direct to your customer. So, you give out your website to your customer, they order the product, they receive their product and you receive your profit! How long do the products take to arrive? You, or your customer, can have your order dispatched to you by next day tracked delivery, or a choice of 1st or 2nd class delivery by Royal Mail, which can take between 3-5 days dependant on your choice. Overseas deliveries will, of course, take slightly longer. How do Associates earn an income? Associates earn an income in several ways. First, they can earn a profit on the retail sales of products they purchase at cost. They can also earn bonuses based on volume and the volume of the teams they develop and train. You will make between 30% and 45% mark-up on your own sales and can add unlimited team building bonuses and a profit share in the Company as you progress up the career ladder. What if I am busy this month? We do not pressure our Associates into doing any more, or any less, than they feel comfortable doing. For example, there is no auto-shipping arrangement (i.e. where you are automatically sent a certain amount to sell each month whether you want it or not). Do I have to introduce other people? No - it's completely up to you. Many of our Associates make good money by selling our products to an expanding customer base and some just make a useful side income by supplying their friends and family, and buying the products for themselves. How can I progress and develop? There are several levels of leadership you can reach as your business develops. How long will it take me to become successful? You determine your success. You can grow your business at the pace that suits you. Don't you need to be a sales person to be successful as an Associate? No – recommending the products with genuine sincerity is all that is required. It’s our experience that most people prefer to buy, rather than being sold to. If you simply talk to people about their health and what they are looking for in life, you will soon discover that sales tend to follow as a matter of course. Being successful with Xenca is about sharing something you feel good about, whether it's the products or the chance to set up in business. Who can become a Xenca Associate? Anyone can become a Xenca Associate. You just need to be over the age of 18 years and live in the UK. Is it a difficult business to run? No - Xenca is a very simple business and you will get all the support you need. Coaching is provided in many forms, from basic training through to advanced leadership development. You will be in business for yourself… but not by yourself - there’s a big difference! Yes - we offer a 30 day guarantee, from the date of shipping, to all our customers and Associates and will offer a replacement, alternative or full product refund. If you notify us within 14 days, we will also refund shipping. Can I advertise my business? Yes - you can. You have many advertising options available to you to market your business, both online and off. Can I sell Xenca products outside the UK? Yes - Xenca products can be shipped to a large number of countries worldwide. The drop down country menu at checkout will show the current list of country shipping options. Can I sell Xenca products to my existing health or beauty business? Yes - Xenca products can complement many businesses by adding value to your customers and significant profits to your bottom line. Added benefits include a free dedicated sales website with every trade account and no minimum order requirements. Can I sell Xenca products through internet sites such as eBay.com and Amazon.com? You are not permitted to advertise or sell Xenca products or offer the Xenca Business Opportunity using Amazon as this is a violation of the Xenca Rules of Conduct. You may not list or sell Xenca products on eBay or other online auctions, nor may you enlist or knowingly allow a third party (customer) to sell Xenca products on eBay. How many hours do I have to put in each week? You choose - there are no set hours; it’s your business and you do everything to suit your circumstances. Are associates employees of the company? No - Xenca Associates are independent business owners. For further answers to any other questions, please contact one of the team, 9am – 5pm Monday – Friday, on 0800 121 7551 for more information.